Half or more than half of the time you take care of cleaning up data. It is important that your tools work quickly and are easy to use. 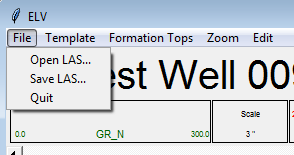 Two days ago I added the ability to create, modify and delete formation tops. 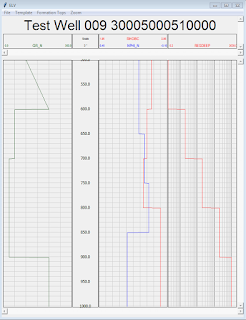 Today this update to the Log Viewer allows graphical editing of any of the curves. 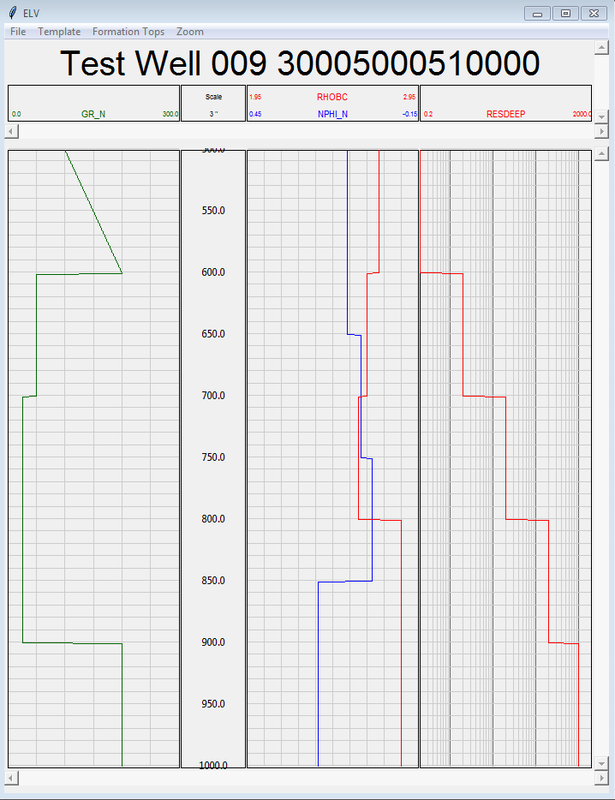 Below is a quick demonstration of how easy it is in my Log Viewer to correct measurements. Let's revisit my Area 51 Roswell, New Mexico log. In this example I'm going to draw a little bit on the Gamma Ray to make it look more real instead of just the interpolated numbers I generated. 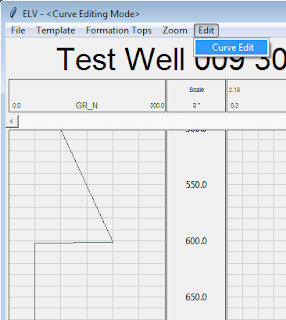 I've creatively named my curve editing mode. This menu options toggles Curve Editing on and off. Now, I just click where I would like to correct the log. 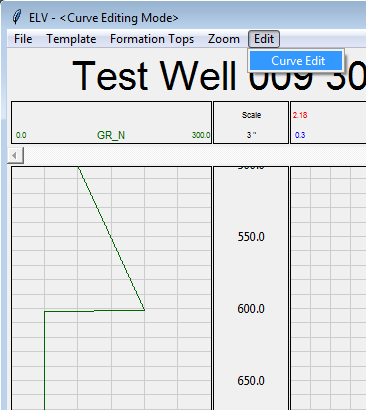 Once I have a couple dots I can right click and the viewer will interpolate in between my chosen points. If I click somewhere I don't like, I just CTRL+Z to undo the last or keep hitting undo to remove as many as I want. This is a feature you don't often get with software packages. Once happy with my edits I right click and I get my newly edited curve. This is starting to look more geologic or like an evil character's nose from a Disney film. Finally I can save my work by just outputting a new LAS.